FUN FACT: Performing household chores is a good way to get in physical activity for the day. It can provide the same health benefits as going to the gym. A recent study by Lear et al. 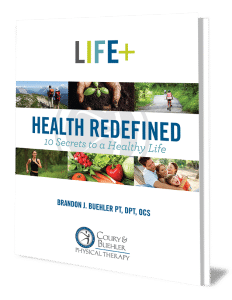 demonstrates that any type of physical activity, whether through running, walking, or domestic duties, can lower the risk of developing cardiovascular disease. But have you ever thrown out your back doing the simplest of tasks such as lifting the laundry basket, loading the dishwasher, or taking out the trash? Or experienced sore shoulders after some top shelf dusting? Most people just push through the pain, but it gets worse by the day, and before you know it you can’t sit, stand, walk, or sleep without having any pain. Here are 3 tips, you can use to avoid injuries and keep your heart healthy while cleaning! Bending down at the waist is a common mistake people make when performing household chores. 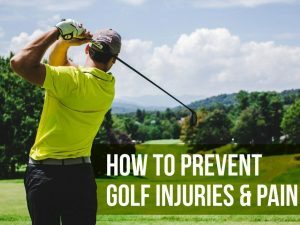 This can put a lot of strain to your muscles, and with enough repetition, you can throw out your back. Don’t bend with your back! 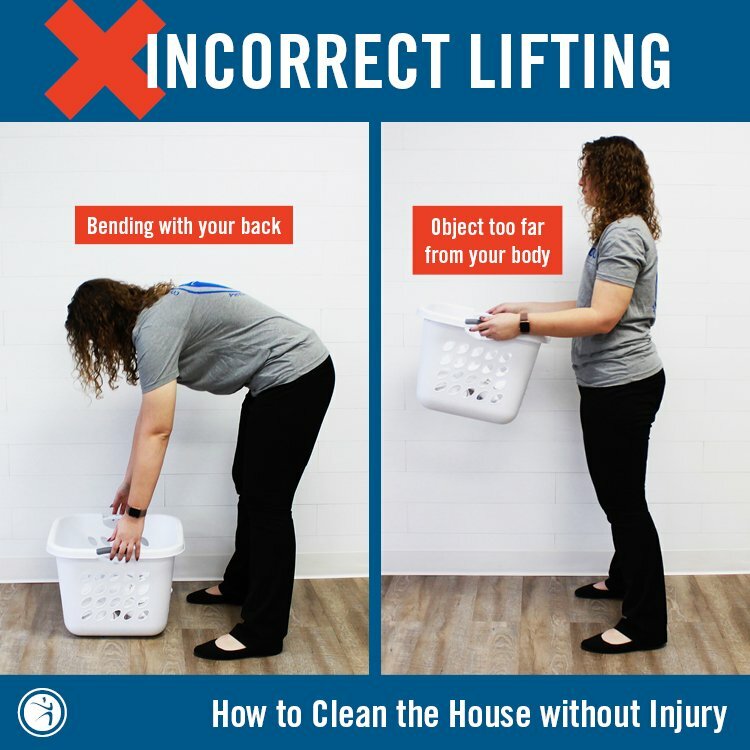 Getting down into a squatting position and keeping the object close to your body (when you pick a sock off the floor or carrying your laundry basket) can minimize the stress on your back. 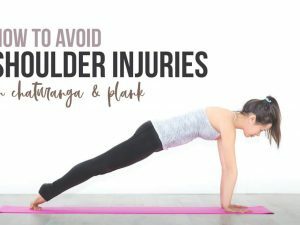 Repetitive overhead motion and the excessive reaching when dusting the top shelf of the cabinet, washing the windows, or changing a light bulb can put a lot of wear and tear on your shoulders and wrists. 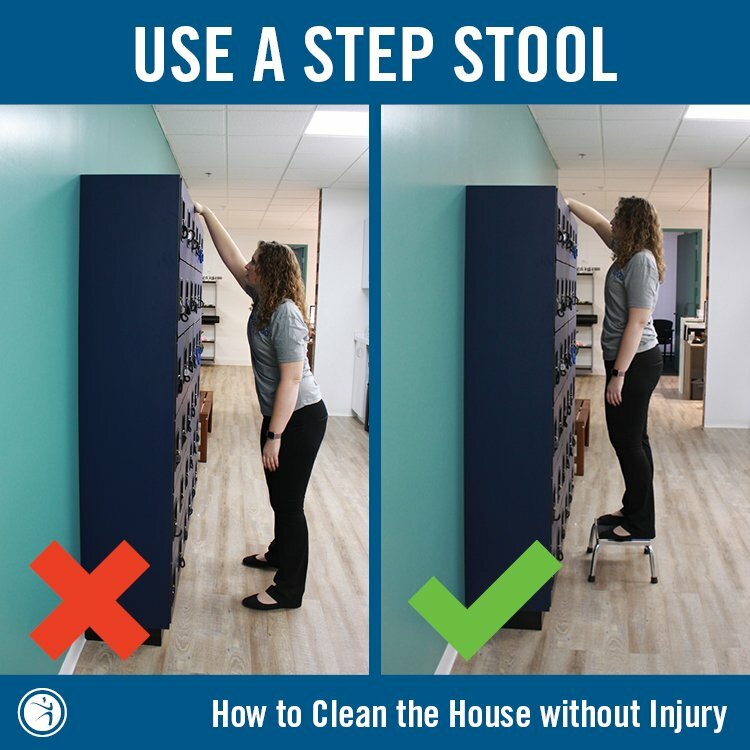 Consider using a step stool to reach high items. 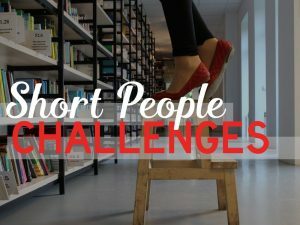 If you don’t have a step stool, lift your heel and go on up on your toes to support yourself! People tend to perform household chores in a rush to get done as quickly as possible. 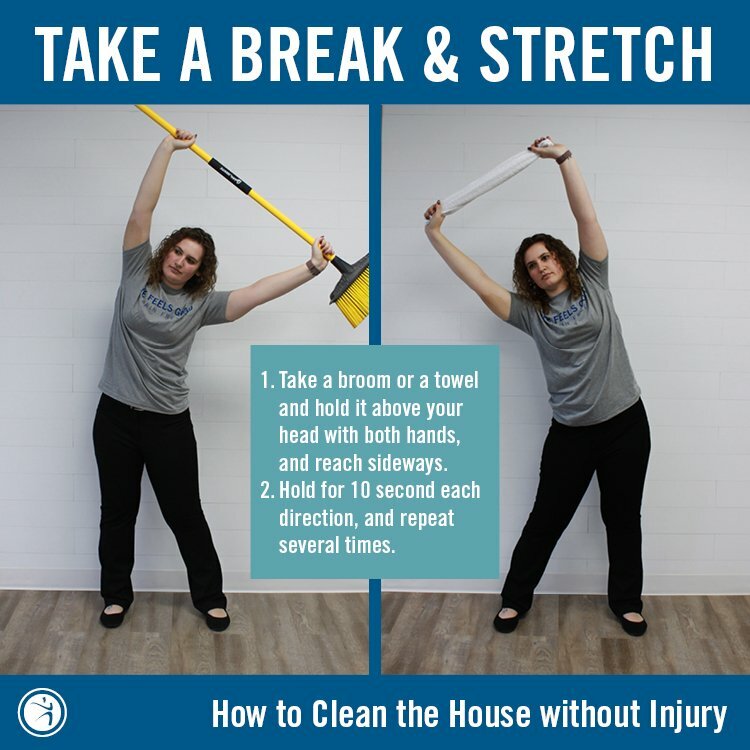 But if you have a lot of chores to do, take short, frequent breaks. 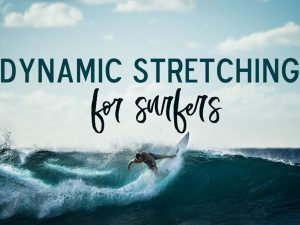 Stretching your muscles during rest breaks can help you avoid any injuries. Who knew household chores could be risky business? 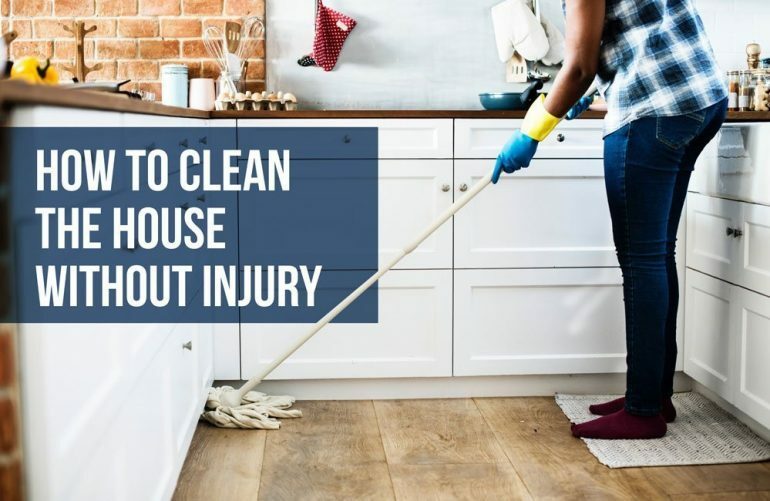 By doing these 3 tips, you can perform your household chores without worrying about getting hurt. Happy cleaning! 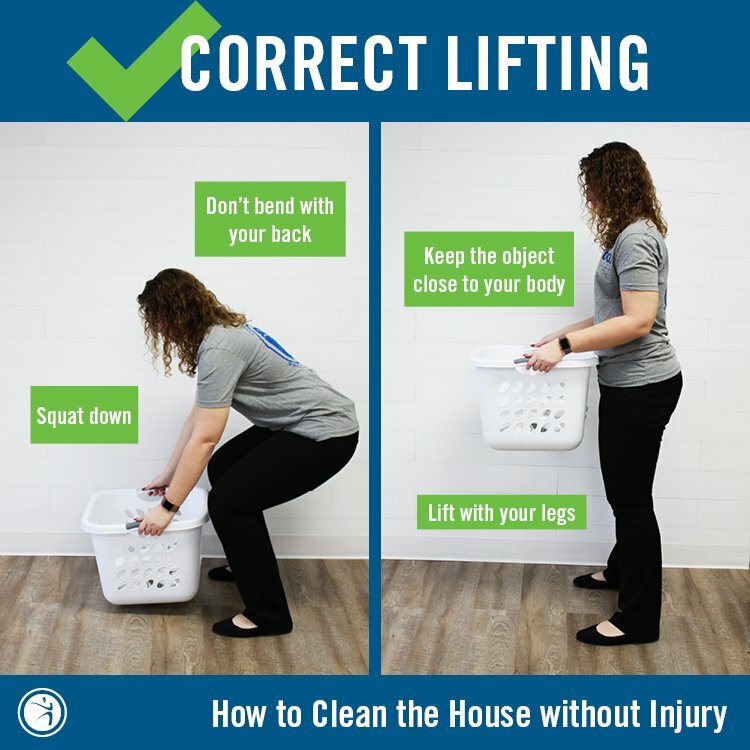 If you have any pain or injuries preventing you from spring cleaning, come in for a FREE ASSESSMENT with one of our expert physical therapists! 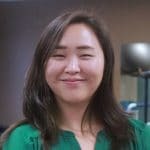 During her free time, Linda loves hiking, biking, snowboarding, and exploring other outdoor activities California has to offer. She wants to take up on yoga and boxing.